Viktoria Marinova was a director of TVN, a small TV station in Ruse, and a TV presenter for two investigative programs. Police said she had been raped, beaten and strangled and her body was found in a park near the river. 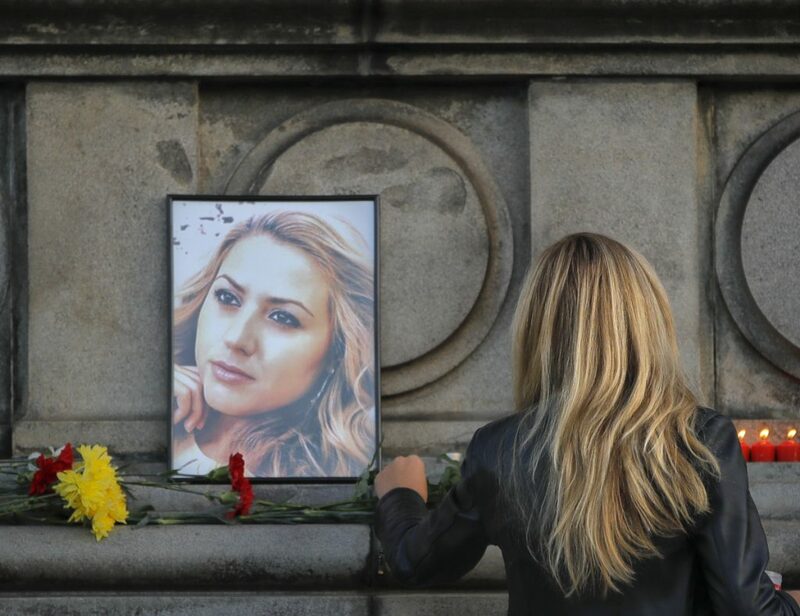 Hundreds of Bulgarians turned out Monday night for vigils to honor Marinova. In Ruse, mourners, some tearful, placed candles, her portrait and roses – the national flower– at the foot of a monument. In the Bulgarian capital of Sofia, mourners gathered outside a church. One participant, Kristina Petkov, said Bulgarians now had “zero” trust in authorities. Corruption is endemic in Bulgaria, a Balkan nation that joined the EU in 2007 and was ranked 71st on Transparency International’s corruption list last year. Joining the bloc opened an enormous spigot of possible new EU funding for Bulgarian infrastructure projects or other programs designed to bring the nation up to EU standards – funds that were very attractive to both government officials and criminal networks.